The Fort Boards blog is a wonderful resource for educational information and fun! For the fourth installment of our ABCD Interview Series we get to learn more about Sandy Wilbur. She is the President of Sandy Wilbur Music, Inc. Here she creates music that helps to inspire, educate and entertain. She is also a renowned musicologist and through her vast musical knowledge she helps people, such as television producers, to find the best music for their needs. Sandy grew up in Meriden, CT and later in La Jolla, CA. She now splits her time between her farm in Vermont and New York City. SIgn up for exclusive discounts, new design plans and more! 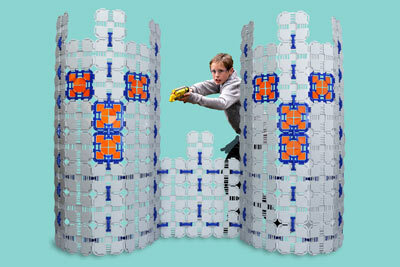 If your kids like Nerf, they’ll love Blaster Boards.